Republican presidential candidate Rep. Ron Paul, R-Texas, speaks at the University of California at Berkeley, Calif., on April 5. 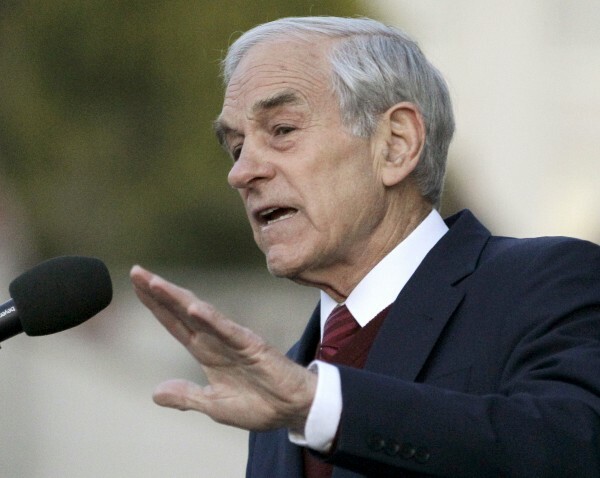 Maine’s slate of pro-Ron Paul delegates to the Republican National Convention have turned down a compromise offer from the state’s GOP chairman that would let them attend next month’s convention in Tampa, Fla., but obligate them to vote for Mitt Romney if Paul doesn’t have sufficient support to be nominated for president. The compromise from Maine GOP Chairman Charlie Webster came about a week after two Maine Republicans formally challenged the right of 20 of the state’s 21 elected delegates — and 20 of the state’s elected alternate delegates — to be seated at the convention, which takes place Aug. 27-30. Now, whether Maine’s Republican delegates are admitted to the convention rests with a Republican National Committee panel that meets this week to review challenges to Maine’s and other states’ delegations. Maine Republicans Peter Cianchette and Jan Martens Staples filed their challenge with the Republican National Committee late last month, alleging that voting irregularities and procedural violations at this spring’s Maine Republican convention led to illegal votes for a slate of delegates who favored Paul over Romney. Cianchette is a former Republican gubernatorial nominee and chairman for Romney’s campaign in Maine, and Staples is a Romney supporter and Maine’s current Republican National Committeewoman. The challenge grew out of a May party convention that became a chaotic affair when Paul supporters staged a takeover and elected one of their own as convention chairman. Ultimately, a slate of Paul supporters were elected convention delegates over an alternative slate. Staples said late last month that her support for Romney had nothing to do with her decision to file a challenge. Instead, she said, she was interested in seeing that the party’s rules and parliamentary procedures followed. But the Maine delegates disputed that, and said Cianchette and Staples weakened their case by not challenging the entire slate of delegates and alternates. Their challenge left off Gov. Paul LePage and first lady Ann LePage, although they were elected under the same conditions as other delegates, delegate Eric Brakey said recently. According to the delegates, Webster’s compromise offer would have required that they sign a pledge to support Romney if Paul didn’t appear on the convention ballot. It also would have removed delegation chairman Brent Tweed’s right to serve as spokesman for the group and announce members’ votes. In exchange, Cianchette and Staples’ challenge would be withdrawn. Webster on Wednesday said he consulted no one from the Romney campaign before putting together the compromise offer. “I made a commitment that I would try as chairman of the party to do all I could to get the folks who were elected to have a voice and go to Tampa,” he said. Webster said he expected his offer would start a round of negotiations with the state’s Republican delegates. But Brakey said Wednesday there was no reason to negotiate. Whether Maine’s delegation is seated could be critical to Paul supporters’ ability to formally nominate their candidate at the convention. If Paul can stand as an official nominee, which would require the support of at least five state delegations, he can address the gathering for 15 minutes. Convention officials still have not scheduled a speaking slot for Paul.